It’s not often that reignited 1970s singer-songwriter John Howard gets compared to the late great Mark E Smith’s band The Fall. In fact this may well be the first time. But John Peel’s quote about each new release by Smith and co is particularly apt here as Howard’s albums are also “always the same, always different”. What is always there is his songwriting prowess and wonderful vocals, preserved during a two decade or so hiatus between his aborted 1970s career and his recent comeback. The defiant sense of independence in the stories he tells is also present. But each time there’s a difference. On 2012’s You Shall Go To the Ball we found out that his home recording skills included an expertise in creating trippy soundscapes. On his John Howard and the Nightmail collaboration with Robert Rotifer, Ian Button and Paul Weller’ bassist Andy Lewis, he added a strong slice of 1960s pop to the mix. And on Across the Door Sill a delicacy of touch in production came to the fore, on this largely vocals and piano release. 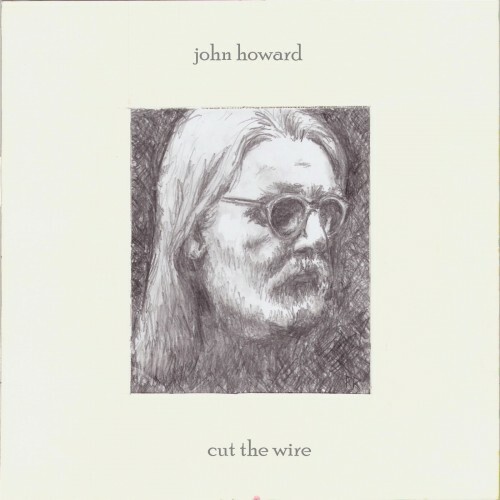 His latest, Cut the Wire, though sees Howard create a collection with a far greater focus on his 1960s and 1970s influences. The result fits wonderfully somewhere between the Beach Boys and English whimsical pop. Opener So here I go, with accordion intro and playful pop, sounds like the perfect theme tune to a French version of The Likely Lads, should Probablement les garçons ever be made. In contrast, Pre-dawn sees Howard at his most McCartney-esque., with strings and Eleanor Rigby feel. Brian Wilson gets a solid nod and a wink on the penultimate track of Cut the Wire Jean Genet Just Imagined. This and We are are perfect together and showcase how far Howard’s production skills have come. To finish it off he simply eases out a six minute epic Long Since, as you do. Cut the Wire’s extra focus on paying tribute to classic pop maestros of the 1960s and 1970s adds something more into the mix for fans and looks likely to attract new admirers too.